According to some developer buzz, the 3DS could be Nintendo's most powerful system to date. Since the launch of the original Game Boy in 1989, there's been a fairly simple rule of thumb for the power of Nintendo's handhelds: They're almost always as beefy under the hood as the last generation of hardware. Makes sense, right? As tech advances, similar power can fit into a smaller space - so the Game Boy and its Color variant were the equivalent of the NES, the GBA was a portable SNES, and the DS is essentially on the level of the Nintendo 64. With that metric in mind, we could probably guesstimate that the Big N's upcoming 3DS would be equal to the last-generation GameCube, right? Maybe not. According to IGN, several unnamed developers have reported that from what they've seen of the 3DS, its processing power "far exceeds" the Wii. In fact, the sources report that the handheld's capabilities are close to that of the HD-capable PS3 and Xbox 360. This is an unconfirmed rumor, so standard grain-of-salt protocols should be in effect. It does seem a bit hard to believe, though: Can you really fit something as powerful as the Xbox 360 or PS3 into a handheld format? It has been half a decade since we started seeing the current generation hardware, so perhaps it isn't impossible to imagine that it's been successfully miniaturized by this point. 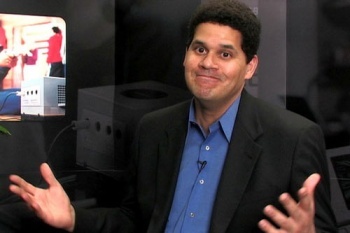 We'll find out if the claims regarding the 3DS' power are genuine when the device gets a full reveal at E3 next week.